The San Diego County Water Authority announced Friday it would cease work on a seawater desalination plant at Camp Pendleton because of excessive permitting and cost hurdles by the State Lands Commission. The Water Authority’s Board of Directors approved a $4.05 million contract to develop the desalination pilot facility in 2015, with additional funding from state and federal agencies. However, the necessity for the plant has lessened as local municipalities like the City of San Diego developed their own water purification programs. The Water Authority claims that the State Lands Commission added additional permitting hurdles as the need for the plant dropped. The Water Authority submitted a report to the commission in March, so as to comply with the California Environmental Quality Act, showing that any negative environmental effects from the plant would be insignificant. However, in June, the commission requested a full environmental impact report on the plant that would cost the Water Authority an additional $626,000, a sum the agency says is not available in its current budget. “Because the study will likely never reach the State Lands Commission for your consideration, we are sending you this letter to inform you of what we perceive to be untenable positions being taken by your staff, the net result of which will have a significant chilling effect on innovation and research of new technology to support environmentally sensitive, new water supplies for California,” Water Authority General Manager Maureen Stapleton said in a letter to commission Chair Betty Yee. 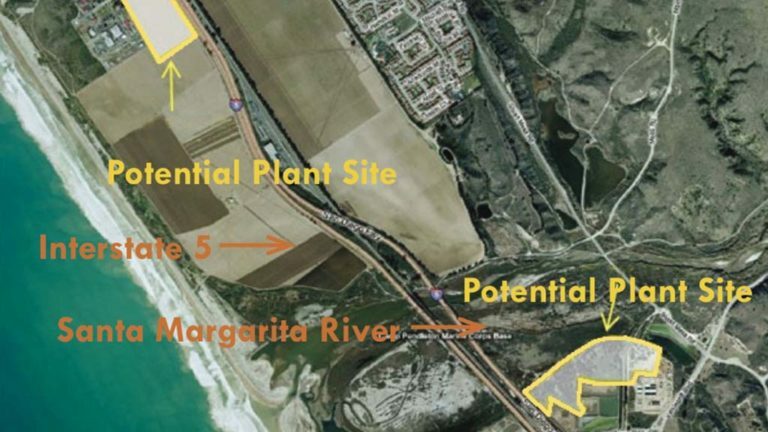 In addition to the letter to the commission, the Water Authority informed its board of directors Sept. 27 that development of the plant would be halted. According to the agency, the desalination plant will remain a viable backup option if conditions in the San Diego region necessitate its development in the future.